If you were to place me on a scale between health freak and fast-food junkie, I’d like to say I’d be edging towards the healthier side, but hey, who am I kidding? I’m probably somewhere in the middle. So I’ve recently picked up a recipe book with the aim to change up my meals with the intention to “eat clean“. Aside from my instagram posts of my healthy meals, I do like the occasional good helping of carb filled comfort food with a side of calorific sugary goodness. And with great vengeance, these meals always leave me wallowing in guilt followed by regret. There’s absolutely nothing wrong with a little comfort eating but to love our bodies, we have to treat it well. It all begins with what you put in it! The Clean-Eating Kitchen by Sara Lewis and Haarala Hamilton is a great book to ease you into learning about the benefits of a clean diet and how to start. 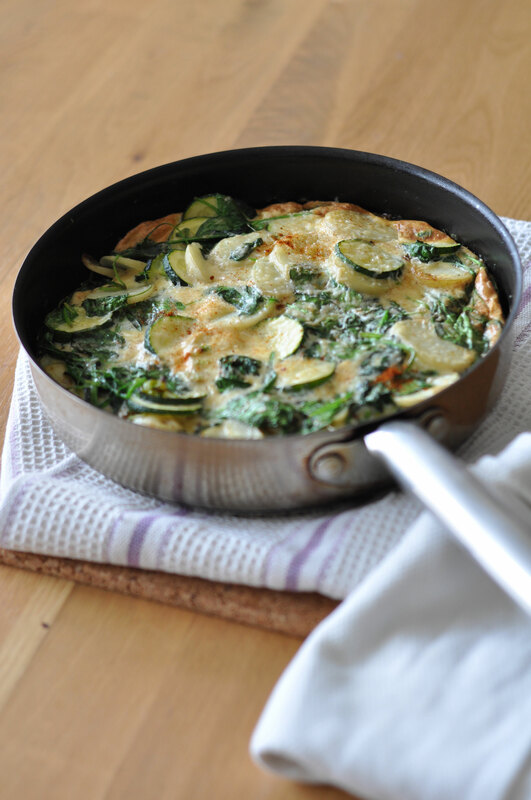 Let’s talk about this Frittata, I followed the recipe quite closely but personally it lacked flavour. What I would recommend is to add a few more elements, just to give it that extra punch! Sautéed mushrooms, shredded parma ham, a good sprinkling of parmesan, whatever tickles your fancy. 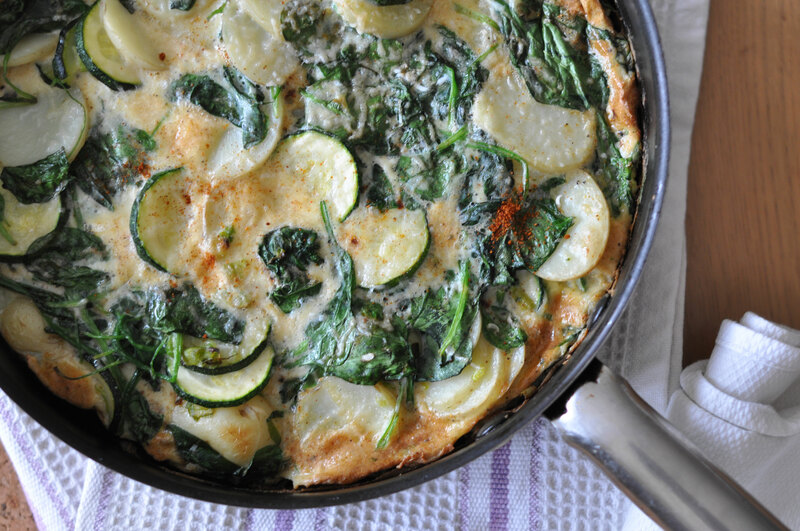 To prep for the frittata, cook the potatoes in boiling water for about 5 minutes or until just tender. 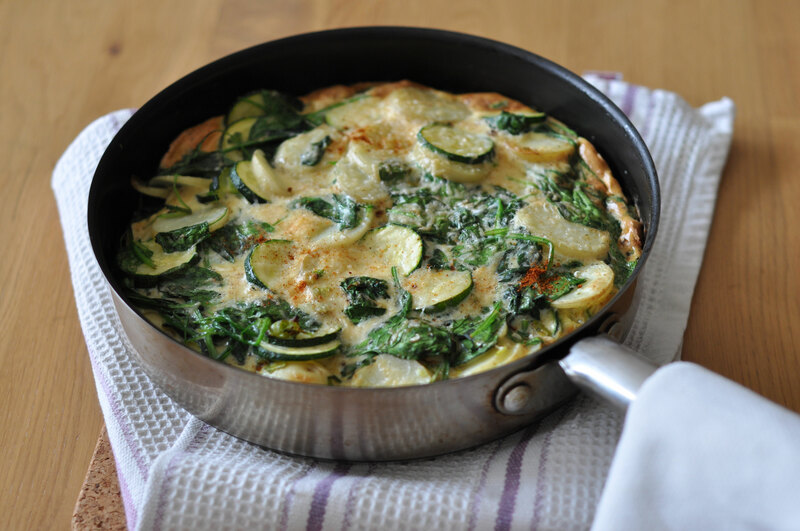 In a large ovenproof frying pan, heat olive oil over a medium heat and fry the spring onions, courgette and potatoes until golden brown. Stir in any other extra ingredients (I’d put in those mushrooms and parma ham!) and the spinach until the leaves wilt. In a bowl, beat the eggs lightly and season with paprika, salt and pepper. Pour in the egg mixture and leave to cook for 5-6 minutes or until the underside has crisped up. 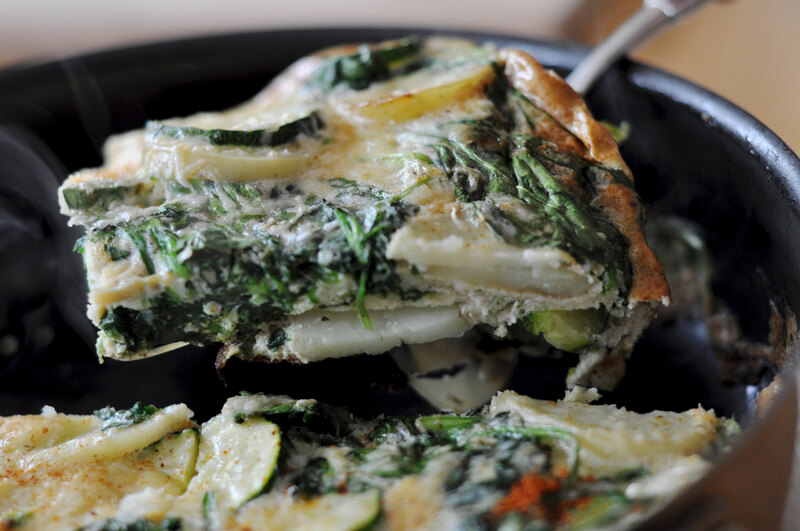 Sprinkle some grated parmesan over the top and place the frittata under the grill for 3-4 minutes. # Educate yourself on the benefits of preparing your meals from simple, unprocessed and chemical free ingredients that are in season. # Learn to listen to your body. Does your body love or hate you for what you have put in it? Instil good habits and get rid of the bad. # Mix it up a little. Try new grains, vegetables, meats. What about a different method of cooking? # Do what works best for you. It is your choice whether or not you take on a truly healthy lifestyle. Let’s be a better version of ourselves! 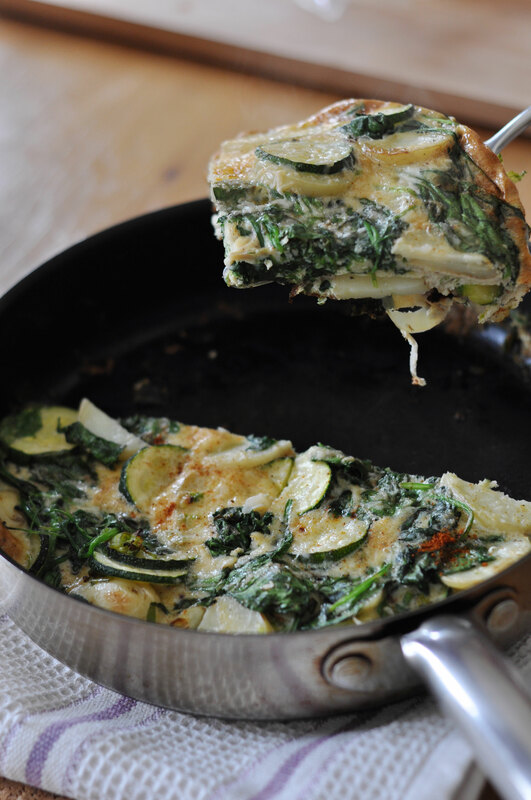 Running low on breakfast ideas? Have you tried out my Berry and Mango chia pudding recipe?